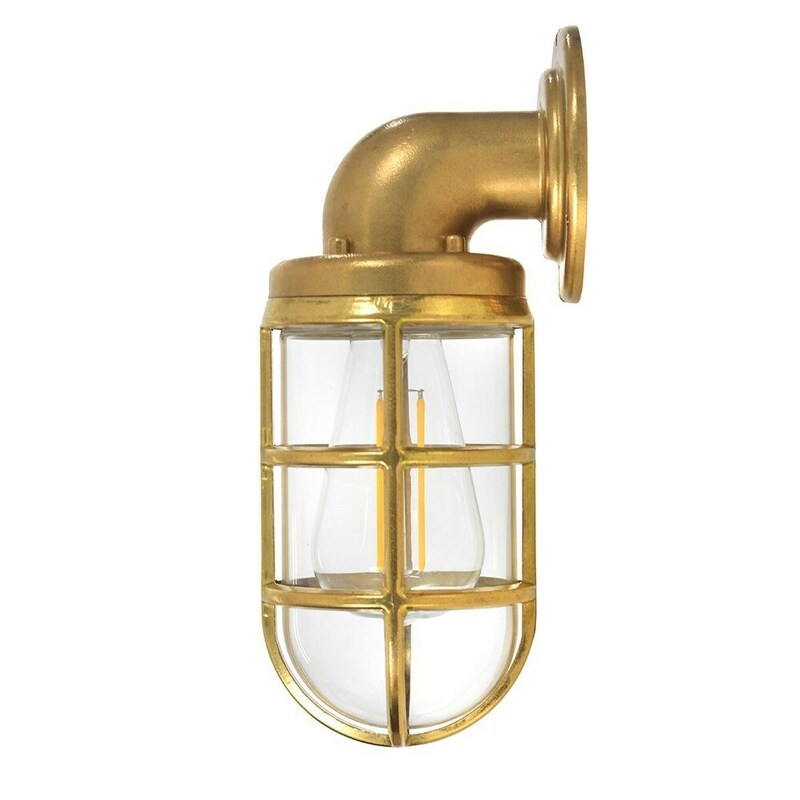 Taking its inspiration from the lighting found aboard naval ships, the Devonport down light is made from rugged raw cast brass and glass. Robust and watertight, the lamp has been tested to IP65 standard for safe use outside in all weathers, but sits equally well in a contemporary bathroom to bring a sense of industrial style. Over time if used outside, the polished golden finish will naturally dull and darken to a more antique finish. Requires one standard clear E27 bulb (not supplied).